We have been asked by a customer about the communal exit/entrance door to his apartment block which closes with a loud bang. He had been told by the on site maintenance person that after he reduced the noise to an almost acceptable slam that there would be no further improvement or adjustment. Should it be technically possible to close this door silently onto its electronically controlled locking mechanism? Is there any legally enforceable noise level the management company should operate too, and are products available that can achieve this? The answers are “yes”, and “sort of yes”. A heavy duty door closer like the Geze TS4000 adjusted correctly, is capable of closing a door strongly but silently. You can see how the adjustment is crucial to the correct operation of the door closer by watching our video here on the web site. 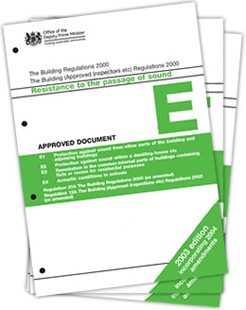 Building Regulations Part E concern the transmission of sound within a building, there aren’t legally enforceable rules relating to door slamming, but the requirements of Part E are that noise which effects building users should be minimised as much as possible. This entry was posted in door closers and tagged Building Regulations Part E, door closer, door slamming, Geze TS4000, transmission of sound. Bookmark the permalink.